cards and enjoy using hand-made papers with various types of fabrics. For over 7 years, I have been making baskets from clothesline that I cover with fabric. I have probably made well over 900 baskets and have taught several basket classes in Albany, Corvallis and Philomath as well as in Tokyo and Paris. My baskets have evolved over the years and I have experimented with shapes, sizes and materials. I am happy to make custom baskets to meet the needs of anyone who is interested. 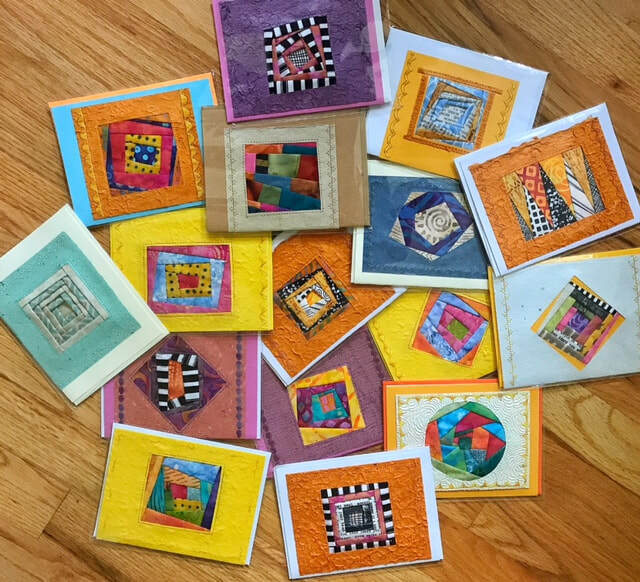 I am a member of three fiber arts groups in Corvallis: the Marys River Quilt Guild, the Contemporary Fiber Arts Guild and a small group of art quilters called Loosely Bound. When not quilting, I am likely hiking, reading or practicing piano. I retired from OSU in January, 2012 where I worked for 32 years, most recently as Director of the OSU Women’s Center.